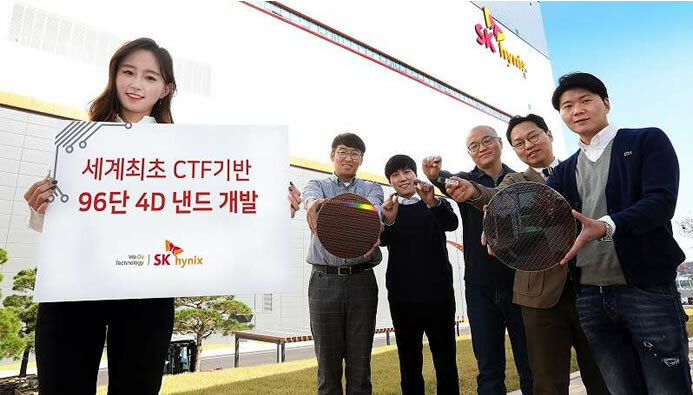 SK Hynix today launched the world’s first 96-Layer 512Gb (Gigabit) ‘CTF based 4D (Four-Dimensional) NAND Flash (4D NAND)’ based on its TLC (Triple-Level Cell) arrays, using 3D CTF (Charge Trap Flash) design paired with the PUC (Peri. Under Cell) technology. A single 512Gb NAND Flash chip can represent 64GB (Gigabytes) storage. SK Hynix will start the early stage of mass production of the 96-Layer 4D NAND within this year. 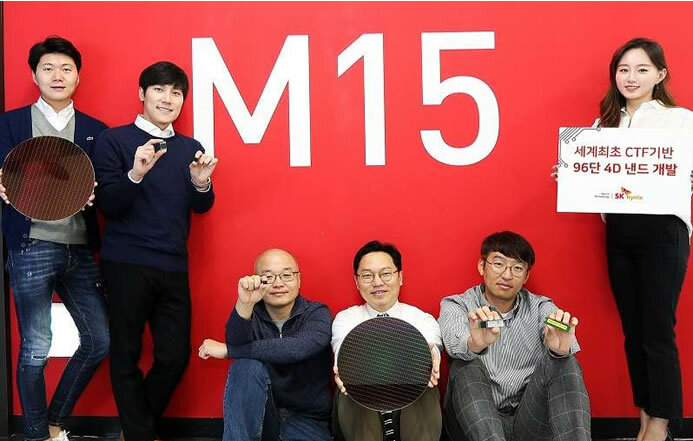 SK Hynix combined its 3D CTF with PUC for the first time in the industry, which is different from the way of integrating 3D Floating Gate and PUC. As a result, it attained the industry’s finest performance and productivity. The Company named the product ‘CTF-based 4D NAND Flash’ to distinguish it from current 3D NAND Flash technologies. The 4D NAND chip reduces more than 30% of chip size and increases bit productivity per wafer by 49% compared to the its 72-Layer 512Gb 3D NAND. The new 4D NAND Flash has 30% higher write and 25% higher read performance. The data bandwidth is doubled to the industry’s biggest 64KB (Kilobytes). With the introduction of a multiple gate insulators architecture, its data I/O (Input Output) speed reaches 1,200Mbps (Megabits/sec) at 1.2V (Volt) of operation power. 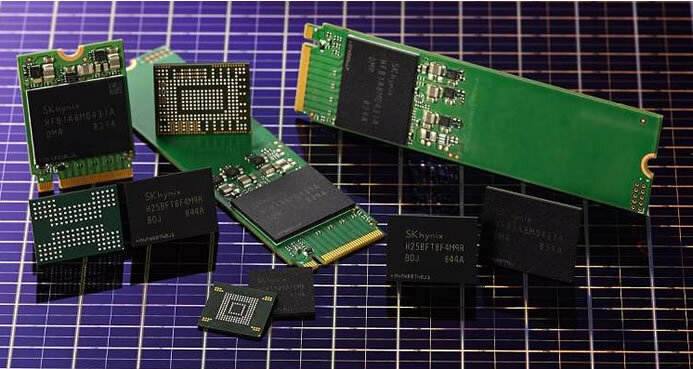 With the 96-Layer 512Gb 4D NAND, SK Hynix will introduce 1TB (Terabyte) client SSDs equipped with its own controllers and firmware within this year. SK Hynix plans to start the early stage mass production of the 96-Layer 4D NAND within this year.